The Great Escape Festival in Brighton (UK), along with the Reeperbahn Festival in Hamburg (DE) is one of the most important showcase festivals in Europe. It is a big melting pot of musical talent, managers, record labels, bookers and agents. The annual Festival attracts thousands of visitors to Hamburg. Many professionals but also many 'ordinary' music to come to Hamburg to play at the dozens of pubs and clubs. Together with The Hague's pop sector we make a shortlist of eight bands / acts that we think that fit with the festival and thus have a good chance. From this short list, the organizer of the Reeperbahn Festival makes a choice of up to four bands / acts that will be to present. 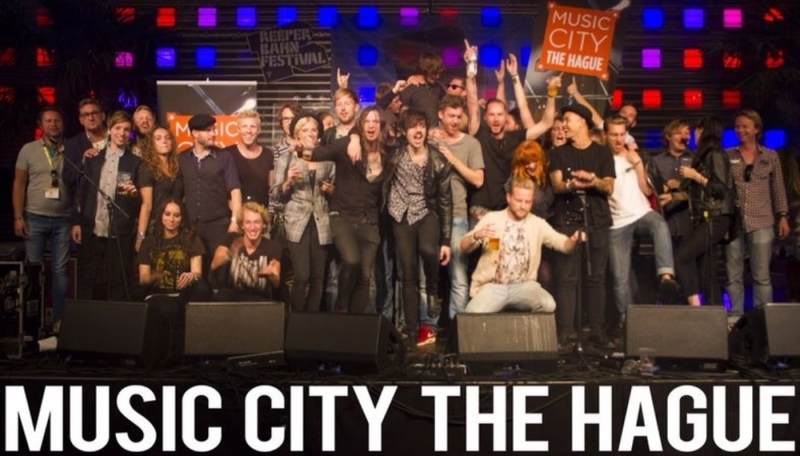 Music City The Hague Showcase Party and more ..
During the festival we create our Music City The Hague venue were all the bands that travel with us can perform and present themselves to the international market.